Yet even the most rabid critics conceded that the book was “fun” and had nuggets of literary value: the San Francisco Daily Examiner said there were “ several passages which are drawn with much ability,” but found the rest of the story to be “a pot-boiler in its baldest form”. 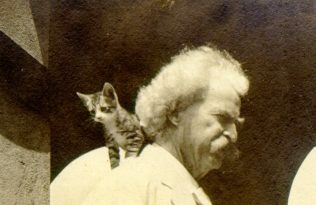 The Boston Daily Advertiser alleged “coarseness and bad taste”, yet found “spatches of Mark Twain’s best work, which could be read over and over again, and yet bring each time an outburst of laugher (sic)”. 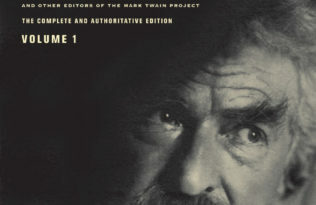 Fans praised Twain’s masterful narrative, with one reviewer remarking that the places and characters “do not have the air of being invented, but of being found.” Others presaged Adventures of Huckleberry Finn’s historical importance and longevity, and the book remains as authentic and provocative in the 21st century as it was in the 19th. 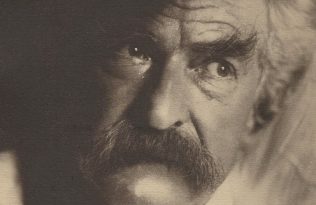 In June, UC Press will publish the 125th anniversary edition of Adventures of Huckleberry Finn, based on the complete manuscript, including a long-missing section rediscovered in an attic in 1991. Huck Finn shares his birthday week with the Tony and Emmy Award-winning actor Hal Holbrook, who has portrayed Mark Twain in his one-man show Mark Twain Tonight! for over 50 years. Holbrook turned 85 on February 17.